Ryu Murakami is on the cutting edge of Japanese literary fiction and horror fiction (and the Japanese have a knack for producing quality horror). 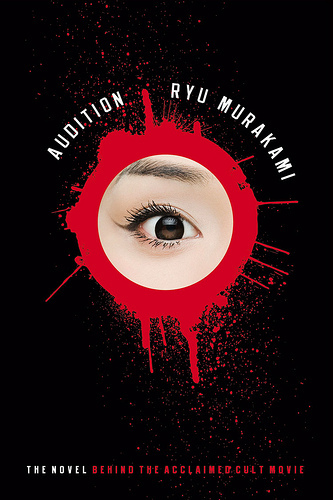 Murakami (not to be confused with Haruki Murakami, a dark author in his own right) might be best known to American audiences for the disturbing film adaptation of his novel Audition. What I like about his fiction is both its incredibly dark, disturbing qualities, but also his exploration of psychological distress. The finest example of this is the short novel, Piercing. Piercing begins with Kawashima Masayuki, a new father, suffering from insomnia and staring down into the crib of his sleeping daughter. He is sweating and holding an ice pick. Yes, an ice pick. Every night he repeats this ritual, fighting the urge to stab his child with the weapon. He doesn’t say it by name, but Murakami is writing about a very common, yet misunderstood condition: obsessive-compulsive disorder. People unfamiliar with OCD often recognize it or ridicule it by its popular caricatures (comically repetitive actions), while in truth, these outward manifestations (or compulsions) are symptoms rather than the disease. The true horror of OCD lies in the obsessions, which are more difficult to portray in books and cinema. Here, the sufferer visualizes upsetting fantasies: committing acts of violence against loved ones; performing self-mutilation; throwing oneself off a high structure. Or holding an ice pick to the throat of a sleeping child. It’s easy to see why the truth about OCD is seldom discussed and not really understood. The obsessions are irrational and disparaging (who would want to hurt themselves or their loved ones?) and therefore difficult (and shameful) to explain or discuss. And even once you get over those hang-ups, are you any closer to understanding why the brain would act as its own worst enemy? As someone interested in narratives of psychological distress (and someone with OCD) I find this to be a rich subject matter. What I love about Murakami is that he explores this disorder without naming it in his novel. Rather than explaining away Kawashima’s actions, the reader is left struggling to figure out why he has such twisted fantasies. Of course, a great novelist will only use this as a launch pad for a deeper story. Murakami sends his protagonist on a journey. The result is a surreal and disturbing trip into one man’s psychosis. In fact, we seldom return to the catalytic event that s purred this journey. Instead, we follow Kawashima’s descent into a nightmare world with numerous twists, trysts and the surreal imagery associated with Japanese horror. 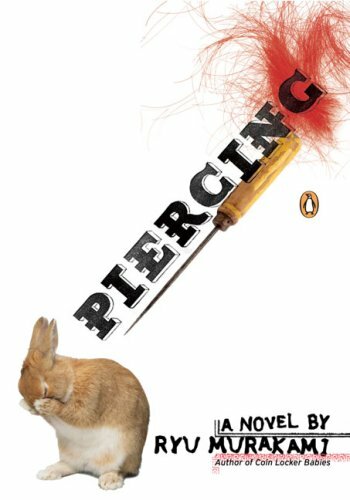 And as the title suggests, Murakami explores various uses of the word “piercing,” from ice picks to body art—but especially the penetrating nature of our darkest insights.